Herbert Kalen was born on January 8, 1929, in Tarrytown, New York. He enlisted in the Aviation Cadet Program of the U.S. Air Force on September 18, 1953, and was commissioned a 2d Lt and awarded his pilot wings on December 18, 1954. Lt Kalen then completed helicopter pilot training and served as a helicopter pilot until June 1957, when he transitioned into fighters and joined the 6520th Test Group at Hanscom Field, Massachusetts, where he served until January 1964. 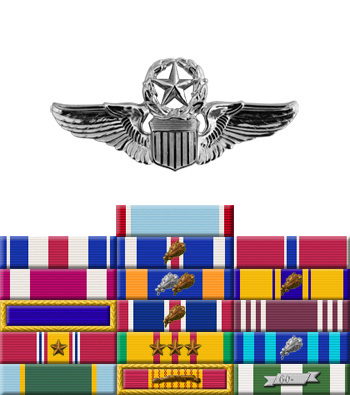 He next served with Air Force Systems Command at Eglin AFB, Florida, from January 1964 to January 1967, when he deployed to Southeast Asia as an HH-3E Jolly Green Giant helicopter pilot with the 37th Aerospace Rescue and Recovery Squadron (ARRS) at Da Nang AB in the Republic of Vietnam until January 1968. Maj Kalen then served with the 48th ARRS at Eglin AFB, Florida, from January 1968 to February 1971. During this time, he participated in the Son Tay Raid on November 21, 1970. His next assignment was as a staff officer with Headquarters Aerospace Rescue and Recovery Service at Scott AFB, Illinois, where he served from February 1971 to April 1974. Col Kalen's final assignment was at Kirtland AFB, New Mexico, where he retired from the Air Force on September 30, 1979. The President of the United States of America, authorized by Section 8742, Title 10, United States Code, awards the Air Force Cross to Major Herbert D. Kalen for extraordinary heroism in military operations against an armed enemy of the United States as a Helicopter Aircraft Commander during the Prisoner of War search and rescue operation at Son Tay, North Vietnam, on 21 November 1970. On that date, Major Kalen volunteered to rescue and extract United States military personnel held as Prisoners of War deep inside the territory of North Vietnam. 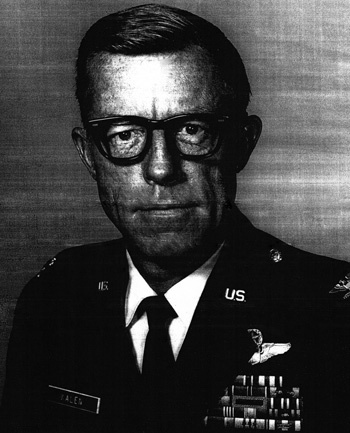 Major Kalen was faced with the most intense counter-air environment in the history of aerial warfare involving surface-to-air missiles. He masterfully executed the necessary complicated maneuvers to evade the enemy's air defense systems. Knowing that a grave danger existed in that the guards within the Prisoner of War compound may have been alerted, he valorously, fearlessly, and successfully flew the helicopter with an assault group into the compound yard, knowing that he must crash-land the helicopter in an area much too small for safe landing. Once the landing was completed, he further assisted the assault group in its ground operation mission. Through his extraordinary heroism, superb airmanship, and aggressiveness in the face of the enemy, Major Kalen reflected the highest credit upon himself and the United States Air Force.